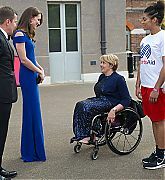 FROM THE WEBSITE: SportsAid helps young, unfunded athletes to overcome one of their greatest barriers to success – the financial challenge of trying to become Britain’s next generation of Olympians, Paralympians and world champions. 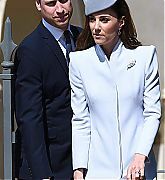 These athletes are Great Britain’s brightest sporting prospects. 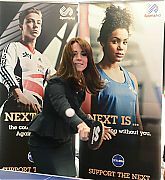 They are nominated to SportsAid by the national governing bodies of more than 60 sports based on set criteria from each. 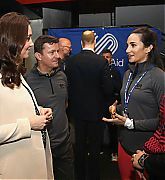 The typical value of a SportsAid award is £1,000 with money generated through a combination of commercial partnerships, trust and charitable funds, and fundraising activities. 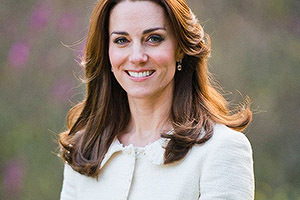 Catherine, Duchess of Cambridge became Patron in April 2013. 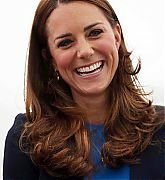 October 18, 2013 – The Duchess Of Cambridge Attends A Sportaid Athlete Workshop – In her first event since the birth of Prince George, Catherine, Duchess of Cambridge watched a number of sports activities, including wheelchair basketball before trying her hand at volleyball as she attends a SportsAid Athlete Workshop in the Copper Box Arena at the Queen Elizabeth Olympic Park in London, England. 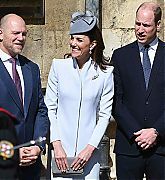 The Duchess also joined athletes and their parents at educational workshops focusing on nutrition in sport, general guidance, working with media and utilizing social media. 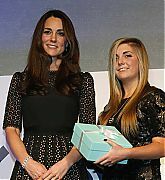 November 28, 2013 – The Duchess Of Cambridge Attends The SportsAid Annual Dinner – Catherine, Duchess of Cambridge attends The SportsAid Annual Dinner at Victoria Embankment Gardens in London, England. 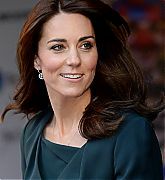 During the event Catherine met with athletes, enjoyed dinner at the reception, and passed out the One-To-Watch Award. 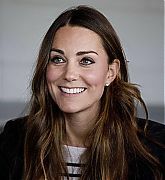 July 05, 2014 – Attending The Tour De France Grand Depart – The Duchess of Cambridge meet with five athletes supported by SportsAid at the Grand Depart of the Tour de France in Yorkshire. 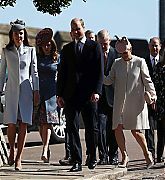 The athletes were invited to join both the Duke and Duchess of Cambridge at the finishing line in Harrogate where SportsAid trustee Ian Braid made the introductions. 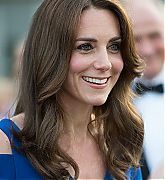 July 29, 2014 – The Duchess of Cambridge At The Commonwealth Games – Catherine Duchess of Cambridge attends a SportsAid reception at SSE’s Home Nation House during her visit to the Glasgow 2014 Commonwealth Games. 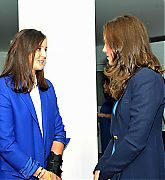 Her Royal Highness met with fifteen athletes – including three competitors in the Commonwealth Games at Home Nation House where she also viewed a mentoring session led by tennis star Laura Robson and former world champion open-water swimmer Keri-Anne Payne. 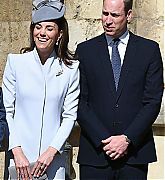 December 09, 2015 – The Duke And Duchess Of Cambridge Attend The ICAP Charity Day – Catherine, Duchess of Cambridge and Prince William, Duke of Cambridge attend the ICAP charity day to raise funds athletes in London, England. 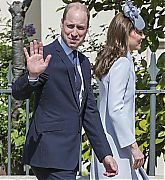 During their visit William and Catherine received a tour of the brokerage firm’s London offices where they met staff, brokers and representatives from their patronages who would be benefiting from proceeds raised. 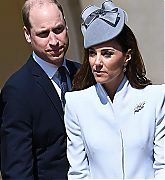 Catherine raised money for Place2Be and SportsAid. 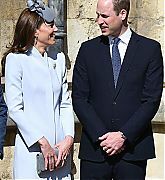 The Duke and Duchess also enjoyed a game of ping pong. 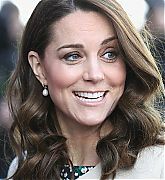 June 09, 2016 – The Duchess Of Cambridge Attends The 40th Anniversary Of SportsAid – Catherine, Duchess of Cambridge attends SportsAid’s 40th anniversary dinner at Kensington Palace in London, England. 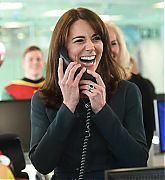 The Duchess will met SportsAid ambassadors and young athletes who will be competing in the Rio 2016 Olympics as well as some of the charity’s key supporters. 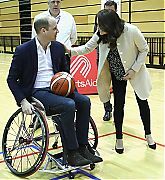 March 22, 2018 – The Duke And Duchess of Cambridge Undertake Engagements Celebrating The Commonwealth = While celebrating the Commonwealth Prince William, Duke of Cambridge and Catherine, Duchess of Cambridge meet wheelchair basketball players, some of whom hope to compete in the 2022 Commonwealth Games in Birmingham, during their visit to the Copperbox Arena in London, England.